A reader finds many old iPhoto libraries and doesn't know what each contains. Photos gave me an option of 5 different libraries to choose from. Why is there more than one? I have never used multiple libraries. And the dates on these are from times I wasn’t using iPhoto at all. You’ve got a couple of approaches to solve this. I’d try to figure out first what’s in those libraries, to make sure they aren’t holding pictures or video you want. 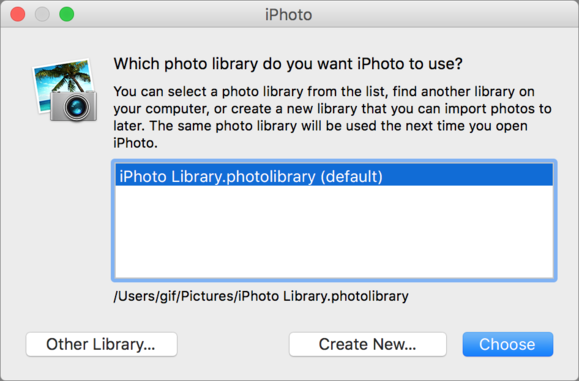 In the dialog box that appears, select an iPhoto library. If they don’t all show up, use Open Other to find them. See what’s in the library and whether it contains anything you’re missing. Repeat steps 1 to 4 for each iPhoto library. You can select among iPhoto libraries by holding down the Option key when launching. Import each into Photos and maintain multiple Photos libraries. Spend $30 and get iPhoto Library Manager and PowerPhotos, a bundle that lets you merge iPhoto libraries and Photos libraries, among other advanced tasks, including removing duplicate photos.